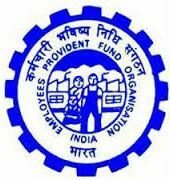 In a big relief to Provident fund account holders, Union Labor minister announced that now idle PF accounts will earn the interest rate. There are around 10 crore employees who have PF funds account and the ministry has decided that if the money deposited in these accounts and is kept idle for more than 36 months then it will earn interest. Since 2011, the inoperative or idle PF account did not earn any interest and if there has been no contribution during the past 36 months, the account were classified as inoperative. The notification which was published on November 11th, the Labour ministry said that PF accounts of persons who have retired from service after attaining age of 55 or who have migrated abroad permanently will now be classified as inoperative. Union Labour Minister Bandaru Dattatreya said that around 42,000 crore is deposited in the account and is inoperative across the country. 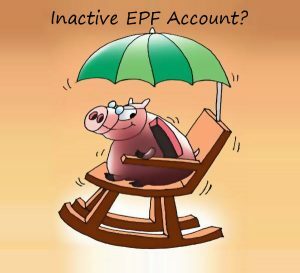 Every year, EPFO announces the interest rate each year and for 2015-16 was fixed around 8.8% However, there has not been any announcement regarding the interest rate on the PF account for the current year. The speculation that interest rate on PPF can fall to record levels and dip below 8% has been ripe post demonetization news by the government. Previously the rate was determined by the government but now PPF rate is decided by the market. In line with the new rules which came into effect on April 1, this year, interest rate on the small saving schemes is subjected to fluctuate according to the market based on the previous three months yields of the government securities in line with the maturities. The mark-up of PPF os 0.25% and the interest rate on small savings scheme will be reviewed every quarter.Expectations are hight that the rates will not be revised upward in short term and continue to reel low. However, those who have invested in PPF should be aware of the fact that it has a exempt-exempt-exempt tax status which means that contribution is tax exempt as well as the amount withdrawn by the investor is also tax free. Further, tax income from the PF investment also does not attract any tax. Therefore, investors are expected to be invested in the PF account. An Indian employee who is working abroad and contributing to the social security scheme of a country that does not have any social security agreement another country will still be able to be a member of PF in India as a domestic Indian employee. He will however not qualify as International workers. In its latest circular the PF authorities, employee is required to contribute to the fund where the salary is either paid or payable by the Indian employer. If any Indian employer is not paying the salary out of his books then PF contribution are not required. In this case the PF contributions in India is subjected to the terms and conditions mentioned in the employment contract. Further, if the employee has terminated the employment contract in India, there is no requirement for contribution in the Provident Fund.